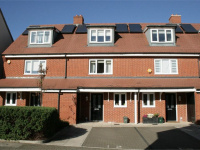 CORNER PLOT WITH POTENTIAL - Book to view this stunning Semi-Detached family Home. 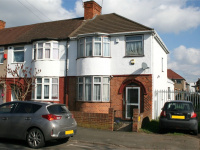 The property is situated less than 1 mile from Hayes & Harlington station, and close to bus links, shops and a number of local amenities. 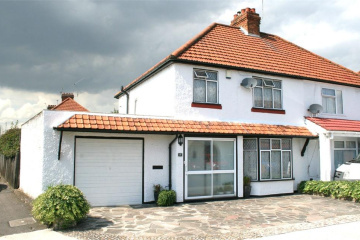 The property has been well maintained and would suit someone who is looking for a property with potential to extend further (subject to planning permission). In brief, this thoughtfully extended home comprises; Entrance Porch, Hallway, Sitting Room through to the Dining Area, Kitchen, additional Reception Room and a Downstairs WC. 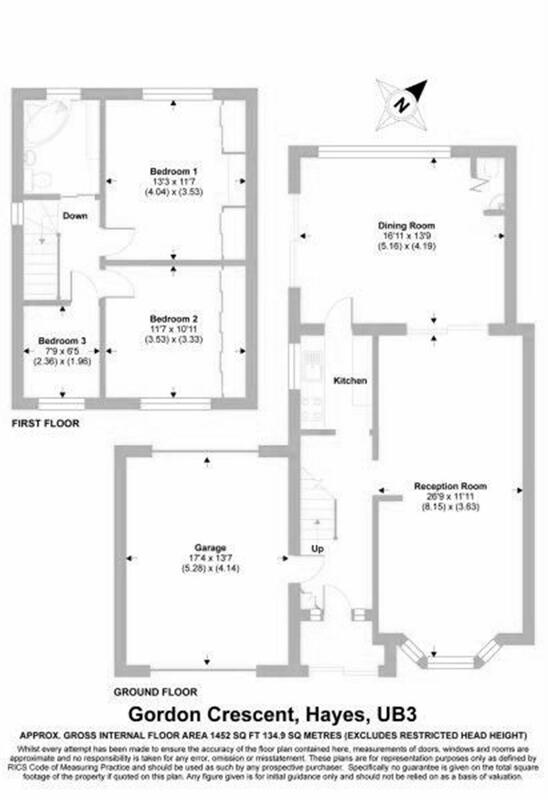 To the first floor, a Landing leads to Three Bedrooms and a family Bathroom. From the Hallway, you can access the spacious attached Garage and Outside, there is a beautifully looked after garden to the rear which extends to around 80ft. At the front, there is parking for 2/3 cars. 26' 9" x 11' 11" (8.15m x 3.63m) Double glazed bay window to the front, two radiators, laminate flooring, sliding Patio door through to additional reception room. 11' 7" x 10' 11" (3.53m x 3.33m) Double glazed window to the front, radiator, range of wardrobes fitted to one wall with sliding mirrored doors. 7' 9" x 6' 5" (2.36m x 1.96m) Currently used as a study, double glazed window to the front, radiator. Corner panelled bath with shower over and tiling around, low level WC, vanity wash basin, tiled walls, radiator, tiled floor, double glazed patterned glass window to the rear. 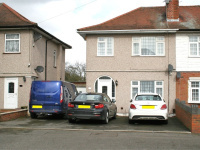 To the FRONT of the property there is a driveway providing off road parking for 2/3 cars. To the REAR there is a sunny rear garden which is mostly lawned and has a well stocked rockery with an abundance of plants & shrubs, leading round to the side is a covered entertaining area with barbecue. This is all enclosed by timber fencing and has access to the garage. 17' 4" x 13' 7" (5.28m x 4.14m) Door to hallway, up and over doors to both the front & rear, space for washing machine & utilities, light & power.